This bike has been built from parts I started collecting in the early 70’s. 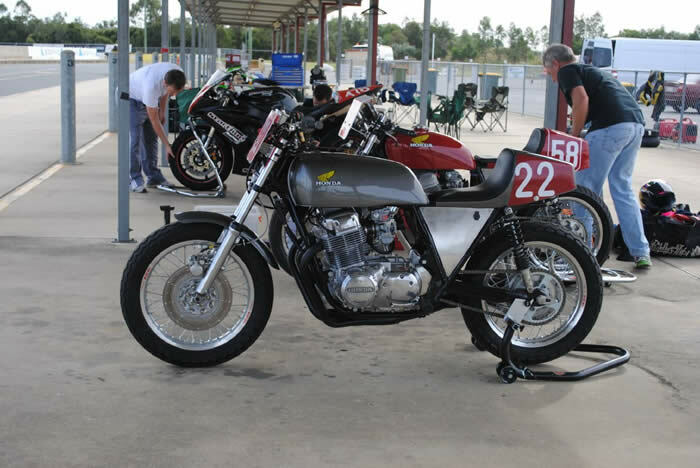 Cameron Huxley (another Honda tragic club member) and myself have been going to classic meetings for several years and I have gathered quite a collection of photos of some of the fastest Honda's in the country. I built this bike with ideas I picked up from these photos. Thanks guys! 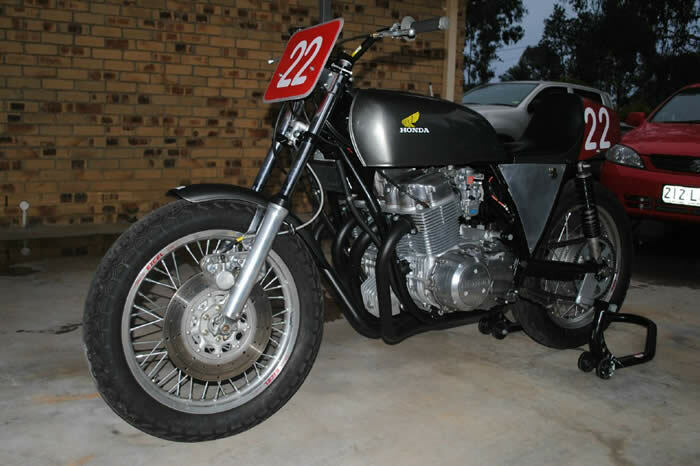 The bike has a standard Honda frame and swing arm braced in appropriate areas. The forks are standard. I am running a single disk to keep unsprung weight down and because brakes only slow you down. Back brake is the standard Honda drum. I am using a later model fuel tank because I think it looks Faster. I run 18” wheels and at this stage Dunlop K81 tyres. I am using protaper motocross bars and standard footpegs in a slightly raised position give a little more ground clearance. 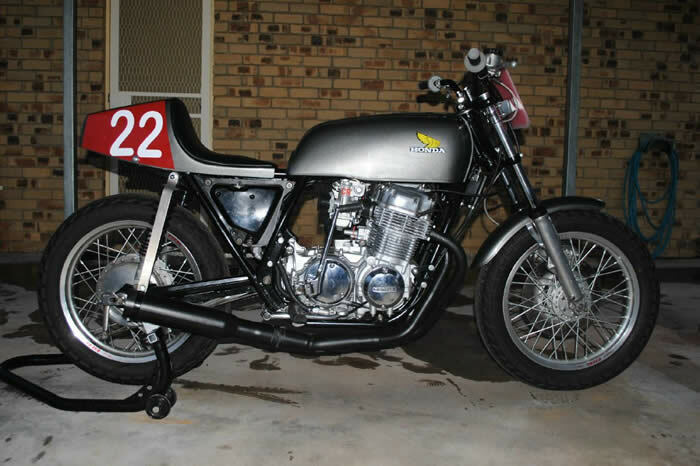 The engine has a Wiseco 900 kit, Webcam, Manley valves, Keihin CR29 carbs and a Dyna ignition. I have removed the alternator and starter motor to reduce engine weight. I would like to thank Lindsay from Lindsay Donai Motorcycles for his help with Engine setup. I look forward to seeing you at as many meetings as I can keep the old girl running for. Have a good one. Mark.